plastic on paper bags, 53 1/2 x 36 1/4 inches. Gift of Christy and Bill Gautreaux, 2016.01.01. Child’s Play: An Exploration of Adolescence situates contemporary works of art from Kemper Museum’s Permanent Collection in conversation with concepts brought forth by neurologist and founder of psychoanalysis, Sigmund Freud (Austrian, 1856–1939). Freud suggested that humans can trace their compulsions back to their childhood. From this idea, Child’s Play explores artists’ depictions of children, their relationships with those around them, and with the world. Artists Nathaniel Donnett and Nicholas Prior see Freud as inspiration for their projects. Using the scene of a playground as the setting for his collage work Freudianslipslideintodarkisms (2011), Donnett illuminates how childhood memories and experiences may directly inform our identities in adulthood. Prior’s Untitled #46 (2004) and Untitled #26 (2005) are based on Freud’s notion that an adult cannot accurately access memories of childhood in the way they were originally experienced. Artists in this exhibition depict children’s experiences from varying perspectives that then reflect back on the world. In her photographic work, Julie Blackmon shows real and imagined aspects of her family life by capturing moments when children are crying, revealing a sense of a hectic home environment. Arthur Tress overlays images of children with images of games, school, and activities, again suggesting the Freudian concept that his adult self cannot accurately remember the feelings he originally felt as a child. 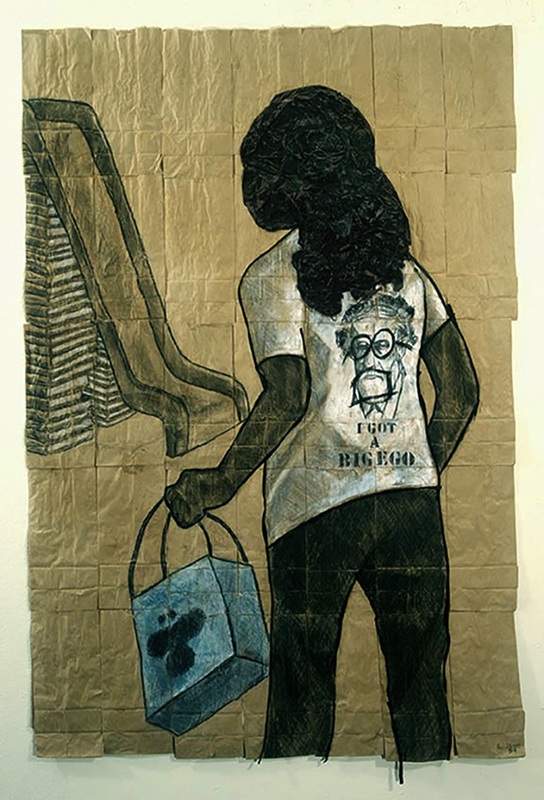 Artist Kojo Griffin relies on his child psychology training to highlight relationships of children while possibly referencing Freud’s concept of “doubling”—self-love and narcissism found in children—in Untitled (2000). Child’s Play links the arts and social sciences to engage viewers in the different ways artists depict childhood. Child’s Play: An Exploration of Adolescence is curated by Jade Powers, assistant curator at Kemper Museum.